Liturgical Advent kit: wreath and shiny candles 8x15 cm. 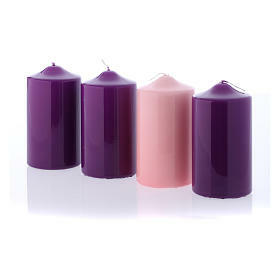 The set contains the wreath and the candles: 3 coloured in purple and one coloured in pink. 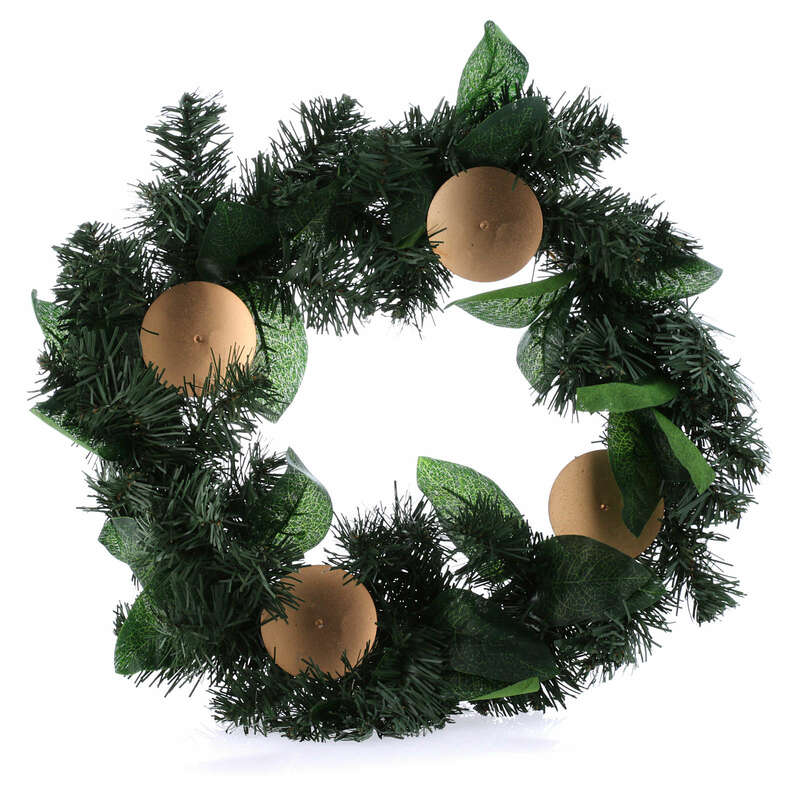 The wreath is made with synthetic pine twigs with 4 metallic bases where the candles can be fixed ( max. diameter: 8 cm). 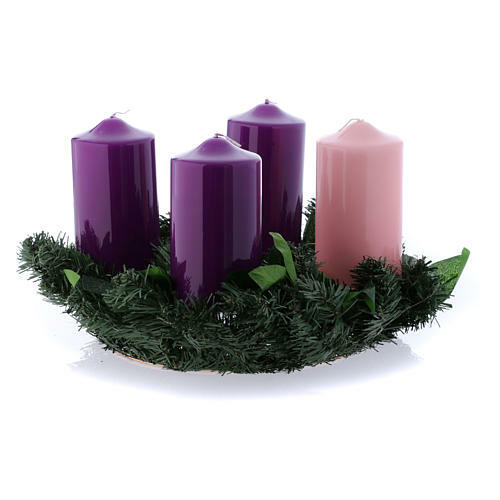 The kit is indicated for liturgical use.